This was the final Al Green album to chart, the final in a series of seven truly superb soul offerings. 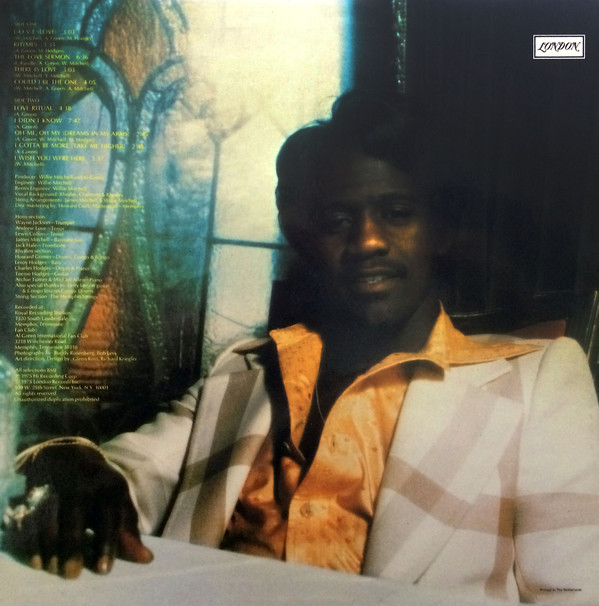 It is a laid-back, sometimes sad but always soulful album, full of the wonderful backing he always had and Green's voice soaring above whatever melody he has to deal with. It is very much a late-night soul album. It is probably his most sombre and contemplative. 5. Could I Be The One? 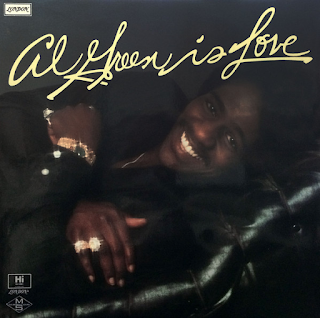 "L-O-V-E (Love)" is typical, sumptuous, Stax-y horn-driven Al Green fare, of the kind that made his late sixties/early seventies name. You can't go wrong with this, it's great. Suerb horns, melodic, rumbling bass rhythmic drums and, of course, Green's soaring vocal. "Rhymes" is a darker, more reflective number but still containing an infectious soul beat. It really reminds me of "Take Me To The River". It is a delicious slow burner. The six minutes plus of "The Love Sermon" is even more laid-back, Memphis-y soul with an addictive cymbal part beneath the verses. Green sings gloriously over a gentle strings and bass backing. "There Is Love" is once more sad, yearning and slow. Beautiful, though. The mood continues on the even more peaceful Curtis Mayfield-esque soul of "Could I Be The One?". "Love Ritual" completely changes the ambience, though, with an upbeat, funky slice of groove. Green's vocal is underplayed, almost incidental, reduced to just whooping and slurring behind the pounding rhythmic drums and throbbing bass. An unusual tactic, but it works. The track is truly intoxicating and unlike anything else Green did during this period. "I Didn't Know" is back to the darker than blue feel of most of the rest of the album. Again, the track is lengthy, reaching nearly eight minutes. "Oh Me Oh My (Dreams In My Arms)" is like the opening track - a Detroit Spinners-esque Stax-y groover. Classic Al Green. "I Gotta Be More (Take Me Higher)" has an early Parliament-style vibe about it. Funky drums and vocals, punchy horns. "I Wish You Were Here" is a slice of sweet soul to see the album out. It had been eight great years for Green and, although he still carried on putting out albums, they were never as great as these first seven.